Pest bird control for bridges can be tricky, but it is something that needs to be done. Fortunately, Pest Solutions are always on hand to get the job done for you. Bridges perform a vital role in allowing people and vehicles to pass over an area that would otherwise be impossible to traverse. However, humans aren’t the only creatures to make use of these bridges. They also make for a tempting target for all manner of pest birds, giving them many secluded spots to roost or nest. This issue is particularly common in urban areas, where feral pigeons may have difficulty finding other spots to build their nests and raise their young. That being said, virtually all species of pest birds may try to make use of any bridges they can find- which can often lead to a fairly serious pest bird infestation very quickly. Such infestations can be incredibly difficult for the average person to tackle, though. While birds can easily fly up into the various nooks and crannies beneath bridges, it’s not so simple for humans to reach up there. The longer the pest birds roost there, the more likely that their droppings will cause a health and safety hazard down below. Not only do such droppings carry all manner of diseases, but bird fouling can also present a slipping hazard if allowed to build up. Rather than resigning yourself to just cleaning up after the birds, it’s time to take on the source of the problem. Call Pest Solutions today, and we will come up with a tailored solution to help you take your bridge back from pest birds. How Do Pest Solutions Tackle Pest Bird Control for Bridges? Often, bird spikes prove to be the most effective solution to the issue of pest control for bridges. Despite what the name might suggest, these spikes don’t cause any harm to the pest birds. Rather, they are there to get in the way of the birds and prevent them from roosting or nesting in that particular area. Since the spikes are spread out, they make it very difficult for any birds to land or take off with their wings apart. It also makes the ledge highly uncomfortable to sit on, since there is no space for the birds to sit properly. While bird spikes can be an extremely effective long-term solution, it is essential that they are regularly maintained so that they continue to do their job properly. Over time, debris may build up between the spikes, presenting a new area for the birds to comfortably roost on without the spikes getting in their way. For that reason, Pest Solutions’ pest control contracts can include such maintenance work. That way, you can count on these bird spikes to provide continuous protection against all manner of pest birds. Another common method we use to provide pest bird control for bridges is bird netting. This lightweight yet durable material can be set up to cover every inch of the space beneath a bridge and prevent birds from gaining access. When installed correctly, these nets often work wonders in stopping pest bird infestations in their tracks. Again, though, these nets will need to be checked over carefully from time to time. Should a small hole be torn into the nets, then feral pigeons may be able to make their way through. In fact, this can make the bridge and even more tempting nesting site, since larger birds of prey won’t be able to follow them through. A Pest Solutions service contract will give you peace of mind that your bird nets are always kept in top condition, so this is something well worth considering. At Pest Solutions, we take pest bird control for bridges very seriously. While the above methods are effective when taken on their own, they become even more potent when used together. That’s why we always offer completely free, no-obligation surveys before we start any pest control project. We want to ensure that you get the very best results from our work, and that means coming up with a tailored plan of action. Instead of getting by with the minimum amount of protection, we’ll ensure that your bridge is completely covered against pest birds. We have so many different methods to draw on since we are expert pest controllers with many years of experience in keeping pest birds at bay. From the aforementioned spikes and nets to audible and visual bird scaring systems, wires, and even special gel that birds will see as flames, we’re committed to delivering the optimal results with our custom pest control service. 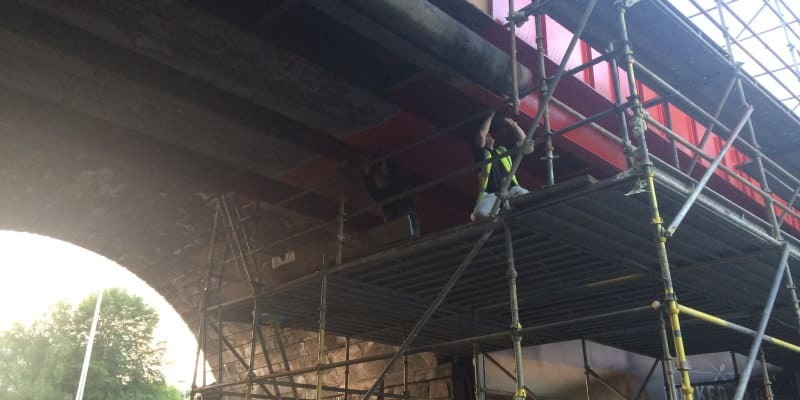 Whether you are already experiencing a pest bird infestation beneath a bridge, or simply want some peace of mind that this won’t happen to you in the future, please don’t hesitate to get in touch. We have all the necessary equipment and expertise to keep your bridge pest-free, and will be happy to come up with the ideal solution to your particular situation. For all aspects of pest control and pest bird control for bridges, simply call Pest Solutions on 0800 027 2555 to arrange a FREE survey or a service call out. You can always count on us to provide a high-quality service- so be sure to get in touch today!